The warmer weather of the last couple of weeks has made Rock Creek fishable with things starting around 11am. The nymphing has been working well including San Juan’s, Princes, Lightning bugs, and Rubberlegs. Keep your dry flies at home as there is no action on top. 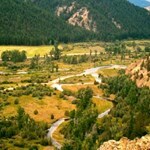 High in the Absaroka Mountains in the Beartooth Wilderness, the Rock Creek River springs to life and continues flowing for more than 55 miles until it reaches its confluence with the ... moreClarks Fork River. 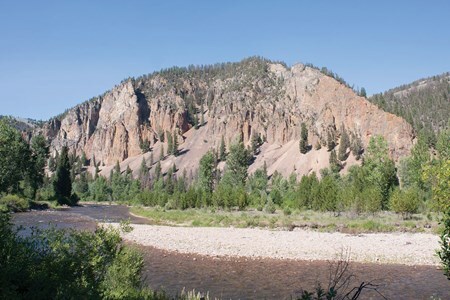 The river’s initial journey is dominated by dense, pristine forests and soaring, snow-capped mountains. 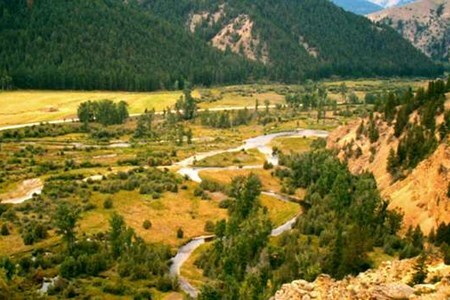 After a short distance of about 15 miles, the river passes by the town of Red Lodge where the landscape opens onto soft, hilly pastureland. 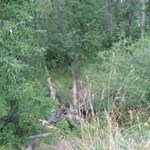 As is true with many rivers in this part of Montana, its banks are lined with thick stands of majestic cottonwood trees, tall reeds and wooly brush. As a result of Rock Creek’s original elevation, and that of the rivers that flow into it, the river maintains trout friendly, cool temperatures throughout most of the year. 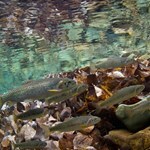 Famous for its trout, the mountain stretch of the river is most likely to yield small cutthroat and brook trout that can be brought in with a variety of dry flies. Despite the gorgeous scenery and dependable fishing, with the exception of summer weekend campers, this part of the river is rarely congested. 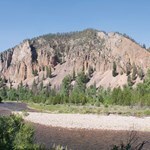 Larger browns, rainbow and bull trout are more likely found below the town of Red Lodge. This is an excellent place for those who prefer wading to floating; the river tends to be narrow and shallow enough to easily navigate on foot. 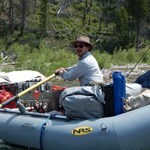 Most experts agree that float fishing Rock Creek is difficult and probably not worth the effort. The combination of sharp turns, narrow passages and low water through summer months, arguably make floating a bad choice. But for those willing to wade, Rock Creek generously rewards anglers with ample fish throughout the year. The river is particularly giving in late June and early July during the salmon fly hatch, although many who know the river well will dispute that. Those most familiar with Rock Creek say the best fishing can be found downstream in the early months of fall. 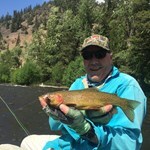 That’s when the super-sized, aggressive browns and rainbows spawn and swim from Clark Fork and pour into the Rock Creek. 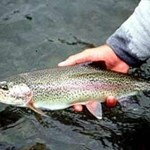 Then you can get out your streamers and net in fish averaging 13” to 18” long. 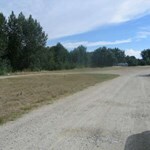 Some of the best fishing access sites to do this include Water Birch Fishing Access, Bull Springs, Beaver Lodge, and Horse Thief Station.